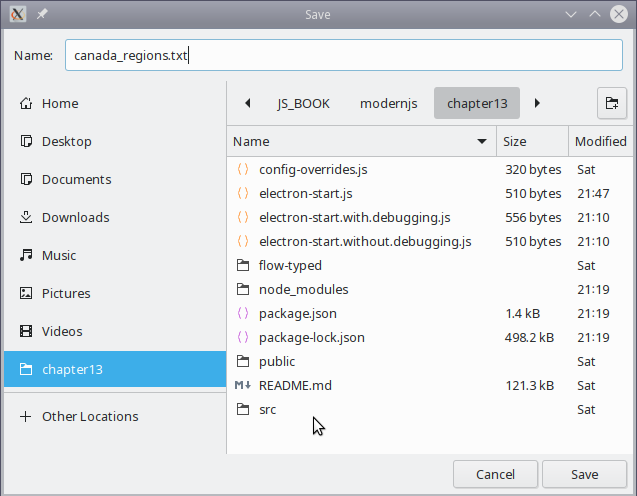 Electron is an open source framework, created by GitHub, that lets you develop desktop executables that bring together Node and Chrome to provide a full GUI experience. Electron has been used for several well-known projects, including developer tools such as Visual Studio Code, Atom, and Light Table. Basically, you can define the UI with HTML, CSS, and JS (or using React, as we’ll be doing), but you can also use all of the packages and functions in Node. So, you won’t be limited to a sandboxed experience, being able to go beyond what you could do with just a browser. In this article, we will look at how we can use Electron together with the tools like, React and Node, to create a native desktop application, which you can distribute to users. "ready" is called when Electron has finished its initialization and can start creating windows. "closed" means your window was closed; your app might have several windows open, so at this point, you should delete the closed one. "window-all-closed" implies your whole app was closed. In Windows and Linux, this means quitting, but for macOS, you don’t usually quit applications, because of Apple’ s usual rules. 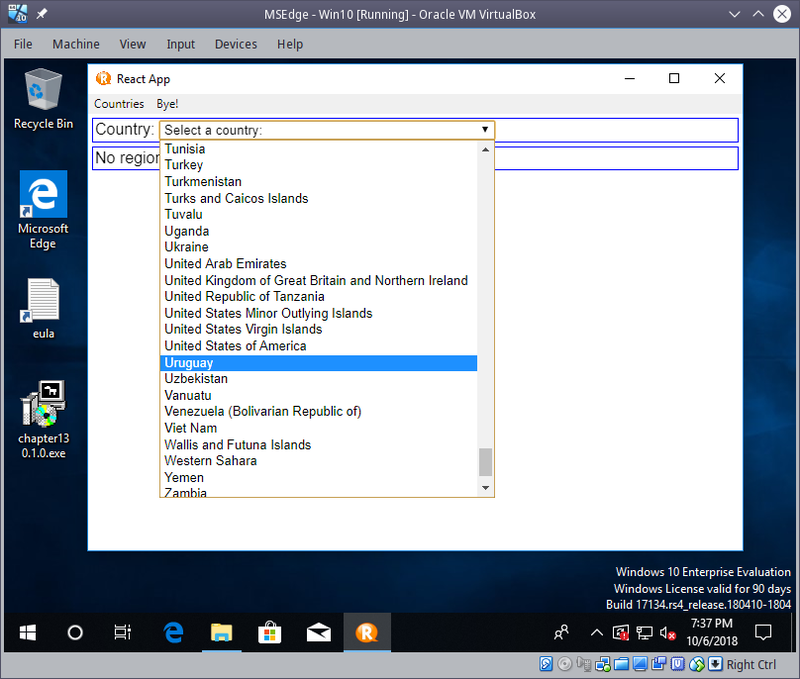 "activate" is called when your app is reactivated, so if the window had been deleted (as in Windows or Linux), you have to create it again. Run our restful_server_cors server code from the GitHub repository. 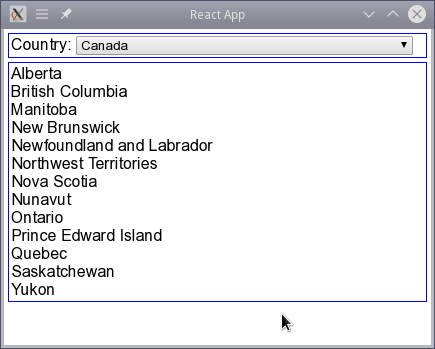 Start the React app, which requires the server to be running. Wait until it’s loaded, and then and only then, move on to the next step. We are done! You can see that everything is interconnected, as before, in the sense that if you make any changes to the React source code, they will be instantly reflected in the Electron app. In the previous recipe, we saw that with just a few small configuration changes, we can turn our web page into an application. However, you’re still restricted in terms of what you can do, because you are still using only those features available in a sandboxed browser window. You don’t have to think this way, for you can add basically all Node functionality using functions that let you go beyond the limits of the web. Let’s see how to do it in this recipe. We want to add some functionality to our app of the kind that a typical desktop would have. The key to adding Node functions to your app is to use the remote module in Electron. With it, your browser code can invoke methods of the main process, and thus gain access to extra functionality. 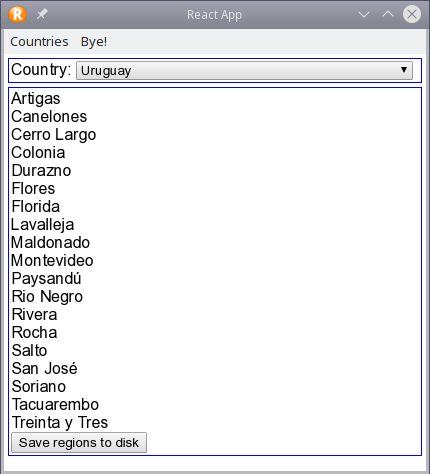 If you click Save, the list of regions will be written in JSON format, as we specified earlier in our writeRegionsToDisk() function. In the previous recipe, we added the possibility of using any and all of the functions provided by Node. In this recipe, let’s now focus on making our app more window-like, with icons, menus, and so on. We want the user to really believe that they’re using a native app, with all the features that they would be accustomed to. Let’s add a few of these functions so that we can get a better-looking app that is more integrated to the desktop. Any decent app should probably have at least an icon and a menu, possibly with some keyboard shortcuts, so let’s add those features now, and just for the sake of it, let’s also add some notifications for when regions are written to disk. Together with the Save dialog we already used, this means that our app will include several native windowing features. 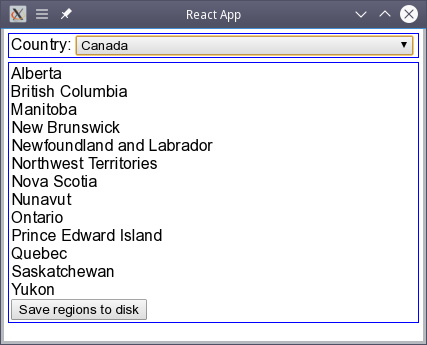 You can also choose icons for the system tray, although there’s no way of using our regions app in that context, but you may want to look into it nonetheless. Now that we have a full app, all that’s left to do is package it up so that you can deliver it as an executable file for Windows, Linux, or macOS users. There are many ways of packaging an app, but we’ll use a tool, electron-builder, that will make it even easier, if you can get its configuration right! Mainly, we are taking icons and code from the build/ directory. An npm run build command will take care of generating that directory, so we can proceed with creating our executable app. I also wanted to try out the Windows EXE file. Since I didn’t have a Windows machine, I made do by downloading a free VirtualBox virtual machine. So, we’ve managed to develop a React app, enhanced it with the Node and Electron features, and finally packaged it for different operating systems. With that, we are done!